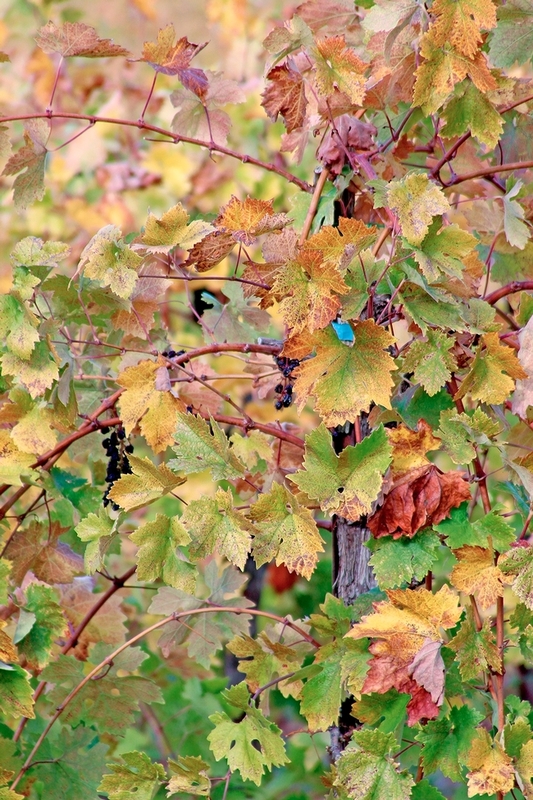 Grapevine red blotch virus, a disease that is dramatically reducing the value of winegrapes in California's premium wine production region, is harming plants by inhibiting photosynthesis in the leaves, according to research published this month in the Journal of Agricultural and Food Chemistry. The new research also showed that infected vines weren't able to conduct water effectively, leaving whatever sugar that was created by photosynthesis stuck in the leaves. The accumulation of sugar in the leaves results in reduced sugar in the berries and lower-quality wine, said UC Cooperative Extension specialist Kaan Kurtural, one of the study authors. According to the report, sucrose and its monosaccharides were the vast majority of soluble sugars found in the leaves. The leaf sugar tended to decrease in the ripening process on red blotch negative vines. But this was not the case in red blotch positive vines. As a result, grapevines infected with the virus produce winegrape clusters with reduced sugar content, poor color development and increased acidity. Kurtural said the research will inform winegrape growers as they consider possible treatments in vineyards with grapevine red blotch-infected vines. 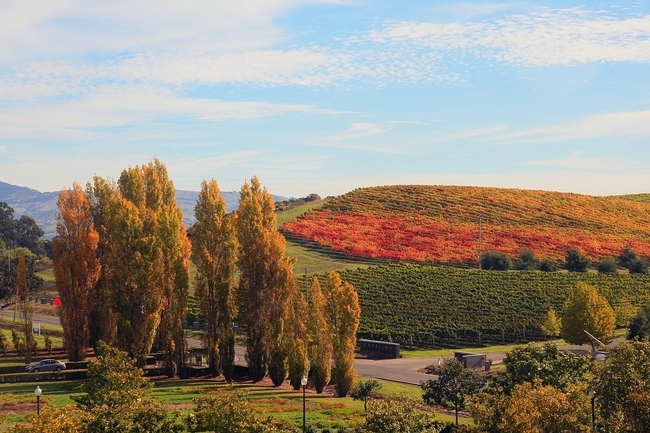 Grapevine red blotch virus was first discovered in the Oakville Experiment Station, UC Davis' research vineyard in Napa Valley, in 2008. Since then, researchers found the virus in grapevines throughout California and in 11 other states. For the new research, the scientists compared naturally infected winegrape vines at the Oakville Station on two rootstocks – 110 R and 420 A – with vines grown on those two rootstocks that were not infected. Grape clusters were collected to examine differences in berry weight, titratable acidity, pH and total soluble solids. The grapevine red blotch virus impact on anthocyanidins and tannins are a still greater concern for winegrape growers as they change the flavor profiles sought in premium wines. “High-value winegrapes are sold between $7,000 to $23,000 a ton. If the winegrapes don't have the profiles that wine makers are looking for, they may only be valued between $1,500 to $2,000 per ton,” Kurtural said. The research was conducted by UC Davis post-doctoral students Johann Martinez-Buscher, Cassandra Plank, Runze Yu and Luca Brillante in collaboration with Kurtural, UCCE viticulture specialist Anita Oberholster, UCCE advisors Monica Cooper and Rhonda Smith and UC Davis Foundation Plant Services academic administrator Maher Al-Rwahnih.